Ready to brew up a little creativity?! We're thrilled to release our latest Maya Road Card Kit that's full of sweetness, friendship and darling coffee and tea themed accents. There's lots of colors and florals and a myriad of goodies to chase those winter blahs away! Sweet Nothings is our latest stunning card kit and we're excited to share it with you today. It's an elegant combo of timeless and trendy prints and patterns, beautiful textures and fabulous details. 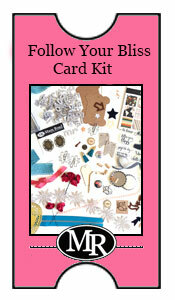 All the papers, stamps, flair and fun exclusives make it easy to just open the package and get creating. All our kits are limited edition so if you want it, make sure you purchase it right away. Quantities are limited. You can also check it out in our Kit YouTube video!We think you'll agree it's a pretty amazing kit and what's even more incredible is the price! Full of more than $55 of supplies, we're selling it for only $25.49 plus shipping ($6.00 in the US). Our Sweet Nothings Kit Add-ons. So many of the products in the Sweet Nothings Kit are just so fabulous we thought you might want to be able to purchase a few extras. Purchase any or all of the add-ons at the same time you purchase the kit and we'll mail them at the same time with no additional shipping charge! Who doesn't love sequins? These sweet grey square sequins are a gorgeous matte finish and so unique! They are fabulous as an accent or in shaker cards. In our opinion, sequins = festive and fun. This pretty add-on is for one sprinkle of packaged in a sweet little glassine envelope. We are so in love with the beautiful prints in this paper pad that we wanted to be able to offer you extras. While there is one full pad in each kit, an extra one will keep you crafting for many projects to come. If you love signing the back of your custom card creations, this exclusive stamp is perfect for you! It's self inking format makes it a breeze to get a perfectly stamped impression each time! Grey is the new black! And while we don't see grey blossoms in real life, these gorgeous satin edge blooms add an elegant touch to any project. This add-on gives you two additional blossoms to create with! Get your nerd on with these sweet and super trendy pink wood glasses! They are an adorable accent to any project! Get a set of 2 of these specs with this add-on. Please Note: Sorry these items are sold out. These stunning Tulle Flowers are a brand new product addition to the Maya Road line-up! Actually, they're so new that they aren't even available in stores yet! This gorgeous color combination has us dreaming of springtime and this add-on gives you one of each color. Put a bow on it! Super shine - check. Pop of color - check. Trendy look - check. These sweet green sequin bows are just too adorable and make a fabulous embellishment accent! This add-on is for 3 of this darling item. These pink owls are such a hoot! This add-on gives your a set of five of these darling wide-eyed birds. Flair cuteness alert! We love our exclusive flair and love being able to offer you additional add-ons. This add-on is for a set of 6 pieces of flair, 2 of each design. Get it quickly though! Our flair add-ons ALWAYS sell out! If you stamp, you'll love the Neenah white card stock for crisp impressions on a high quality finish! This add-on is for 8 half sheets of Neenah card stock. All that glitters is not gold! This stunning sea green/aqua glitter add-ons a beautiful glitter surface to your projects. Try it on chipboard, to accent stamped images or dip just about anything in it! These add-ons are for jars of sweet color paper clips. Choose from mustaches, stars or hearts and clip them onto your favorite paper craft projects. They also make a fun way to organize the paperwork on your desk! Last, but definitely not least! Check out this stunning gold washi tape add-on! Gorgeous glam! It's the perfect accent on cards, for sealing envelopes, highlighting a planner and so many other things! You can even stick a to do list temporarily to your wall! With six stunning and trendy patterns, this add-on is a must-have! If you're looking for samples of what you can create with this kit, look no further! TWO different designers have created unique card designs to inspire you. Simply click on the following photos and you'll be linked right to their coordinating galleries. Each designer has written full instructions to complete each project. Below you'll find links to the PRINTABLE PDF files that make this kit into a class for you! 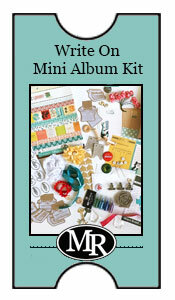 This kit will ship starting February 4th so you'll be able to get started right away! Click here for printable PDF of Melody's full project instructions! Click here for printable PDF of Kathy's full project instructions!